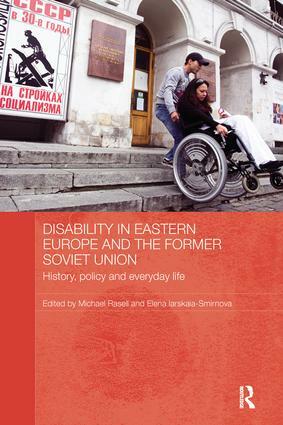 There are over thirty million disabled people in Russia and Eastern Europe, yet their voices are rarely heard in scholarly studies of life and well-being in the region. This book brings together new research by internationally recognised local and non-native scholars in a range of countries in Eastern Europe and the former Soviet Union. It covers, historically, the origins of legacies that continue to affect well-being and policy in the region today. Discussions of disability in culture and society highlight the broader conditions in which disabled people must build their identities and well-being whilst in-depth biographical profiles outline what living with disabilities in the region is like. Chapters on policy interventions, including international influences, examine recent reforms and the difficulties of implementing inclusive, community-based care. The book will be of interest both to regional specialists, for whom well-being, equality and human rights are crucial concerns, and to scholars of disability and social policy internationally.